Apple’s AirPods wireless headphones are all the rage among technology gifts in 2017. Novel approaches to mobile audio get attention from geeks as they choose their most-wanted technology gifts in 2017. Our geek advisory panel said the most coveted gift this year is close to unanimous — Apple’s AirPods wireless headphones. 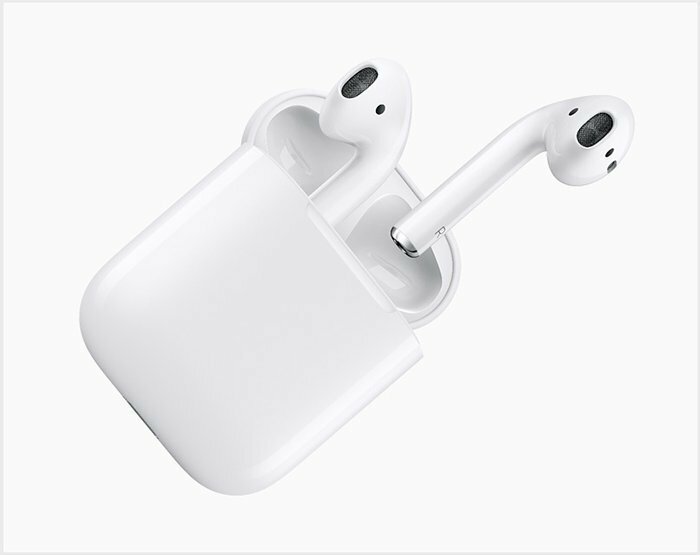 AirPods, introduced at the end of 2016, pair easily with Apple devices, such as the iPhone, and offer good sound quality. For the unique geek in your life, consider giving them the ColorWare treatment so they’ll stand out from the crowd. It’s already too late for this option to arrive in time for the holidays, but for the stylish geek it’ll be worth the wait. Geeks also mention wireless headphones from Beats by Dre, specifically the BeatsX model, and Bose, specifically the QC35 sound cancelling model. “They’re great for taking calls, listening to music, and are an absolute must anytime you’re on a plane,” said one geek advisor of the QC35s. Geeks also admire Google’s Pixel Buds, which offer a nifty translation feature between different languages, but advise geek gifters to hold off for further product development for now. The Pixel Buds require users on both sides of a translated conversation to have the Google Pixel phone, and the translation hasn’t yet reached conversational speed, according to early reviews. “I desperately want the promise of what they were advertising, but it sounds like it’s another release or two away,” said an AirPods fan. Other staple technology gifts for 2017 include new supplies for home automation systems, such as Amazon Echo Dots and even USB outlets. Get to know your geek’s brand preferences! Or, let them make their own cool gadgets with the popular Glowforge 3D printer geeks rave about. For those without the cash on hand for expensive headphones, some home gadgetry can be had for entry-level prices, geeks said. “There are lots of entry level smart devices that are handy like a grill thermometer, indoor thermostat, etc — they’re fun to play with, if nothing else,” one said. Do-gooder geeks will also be tickled with donations to their favorite causes, such as Net Neutrality. Technology conferences no longer have an off-season, and technology gifts for geeks on the go are also in demand this year. “With the ‘digital nomad’ revolution under way, and more people looking to work remotely or while traveling, there are a few devices that I’ve found to be invaluable,” said one geek road warrior. For example, a portable router with battery pack is the perfect gift, and he recommends the HooToo TripMate. Other options include the FileHub and GL-AR750. If your geek doesn’t already own a smartwatch, one can come in handy for geek travelers. Among the latest and greatest is the Apple Watch Series 3 with cellular support. Geeks are hesitant to say they “like” USB-c dongles for Macbooks, as they are pricey and always require a charger on hand, but they’re a must-have for geek travelers to connect with and transfer data between devices. And don’t forget USB-c battery packs and fast charging cables. Geeks on the go also recommend novel approaches to note-taking and audio recording in conference sessions, such as a Gnarbox digital recorder or a Rocketbook Wave notebook. “You can write in it, easily capture everything you’ve written with your smart phone camera really quickly, and then erase all the text by putting in the microwave,” said one expert Rocketbook user. As geeks settle in at night, they may also like a gooseneck iPad mount for hands-free Netflix-watching or e-Book reading in bed, too. And for any geek who might like some professional development in their stocking, offer them a book on how to manage unplanned work. For fans of The Phoenix Project, try Debois’ follow up, The DevOps Handbook. Or, if your geek works with PowerShell scripts, this advanced scripting book from Dana French might be right up their alley.